Carpet Miracles - Cleaning Services based in Bournemouth, Dorset. Invoice history based on 346 reviews. It is our unique position as one of only a small number of locally based businesses professionally trained and certified by the IICRC combined with our advanced equipment, technical expertise and a non compromising attitude to the length of time spent on the job, that enable us to achieve unbeatable, longer lasting results; representing far better long term value than what may initially appear to be cheaper alternatives. 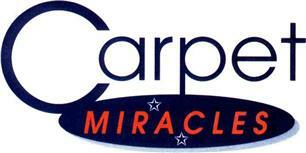 Before you telephone us we recommend you take a look at our website at www.carpetmiracles.co.uk to find out much more about us and also the IICRC which is the worlds largest certification body for the industry. They can be found at www.iicrc.org and the National Carpet Cleaners Association which we are also a member of can be found at www.ncca.co.uk. To ensure the work is carried out to your own personal requirements (taking into account your preferences on furniture moving etc.) please telephone us on 01202 517161 (between 8am and 6pm Mon to Fri, 8am to 12pm Sat) so we can arrange an appointment to visit you to discuss the options available. Once we have properly examined the items you require cleaned to assess the most effective cleaning method we will provide you with a detailed itemised written quotation with a guarantee of no hidden extra charges. This quotation will be valid for 60 days so there is no rush to make a decision. Everything we do is because we want you to use us again and again, not just this once, and we want you to recommend us too. All BH postcode areas, Bournemouth, Poole, Christchurch, Wimborne, Ringwood, Ferndown.